DON'T MISS OUT! 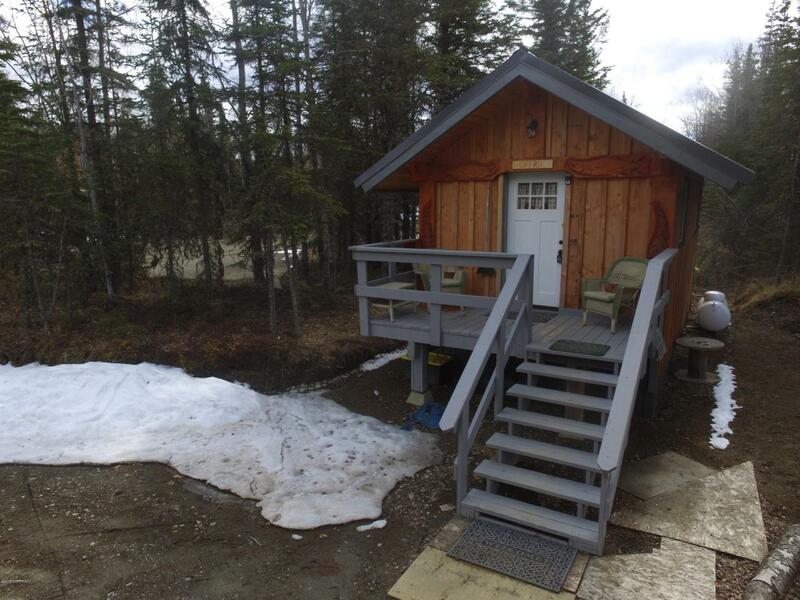 !Once in a lifetime chance to own an income producing property while living the Alaskan dream.This property offers 4 well built year round energy efficient cabins. 3 two story cabins featuring open concept to sleep 7 people w/full kitchens, dining areas, full bathrooms and laundry area. And a 12 by 20 office cabin . There are 7 RV gravel pads with septic,water and 20-30-50amp plug in power service. This is an amazing opportunity to gain equity while having fun! The 3 two story year round efficient two story open concept cabins rent for $850.00 a month plus utilities during the off season months. And $150.00 a night for the 1st 2 people per cabin and $25.00 a night for each additional person. Each of the 3 cabins has 2 queen Beds, 1 queen sofa sleeper and 1 twin bed. The 4th cabin is the office with owners sleeping quarters and a 1/2 bath. Air B&B offers many positive reviews from clientele with ratings one would admire. Located close to public beach access off Cohoe Loop, 5 min. from Kasilof River access and 25 min. to Kenai River access for WORLD CLASS fishing. Buyer can choose to buy/not to buy all furnishings & fixtures for all 4 buildings (full list is attached $39,260.00). Buyer can choose to buy/not to buy business w/sign ($28,172.61). This amount is the yearly net income from 1st year gross income of $38,742.50 (summer income only) less the costs to operate per year. Sellers cost to operate per year are $1,071.00 Building Insurance, $6,515.49 Propane, Property Tax $2,157.58, Electric $1,361.32, $300.00 Phone Bill). The building insurance is for both his adjacent home (not for sale) & 28981 N Cohoe Loop road property as a combined policy. Seller has no internet bill, no garbage service, no employees, no maintenance (All Newer Buildings). Owner lives in lower 48 and chose not to rent cabins through the winter.This was 1st years summer income only. Per Seller Income Potential Below, 7 RV sites have a well groomed with gravel pad, sewer connection, water connection and a power box w/plug in service for 20-30-and 50 amp service. These RV spots rent for $40.00 a night throughout the summer. Easy to show-CALL TODAY!